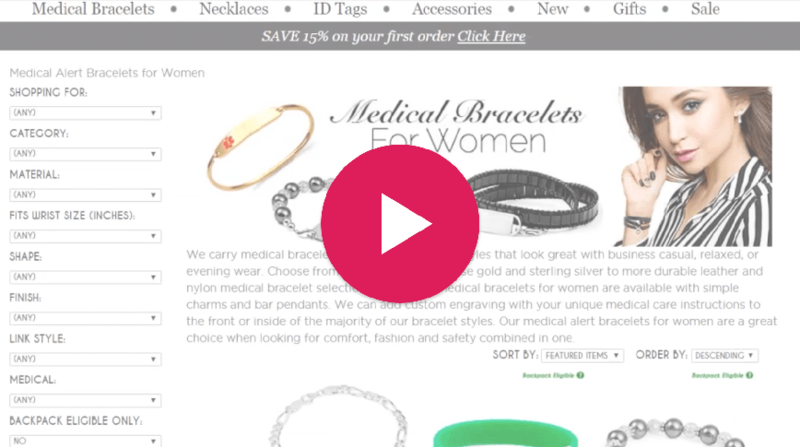 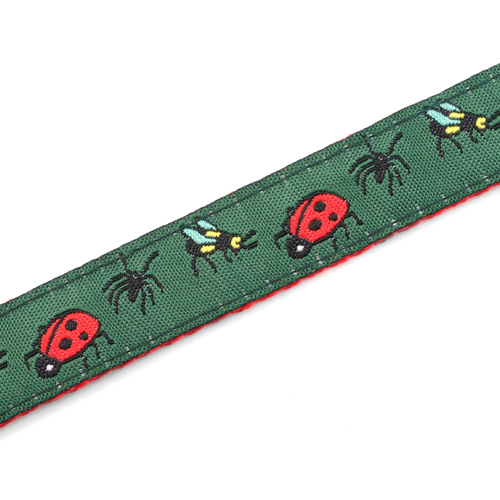 A safety bracelet crawlin' with critters for your curious collector! 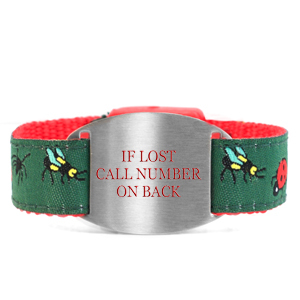 The tag is stainless steel and can have up to 8 lines of contact information engraved on the back. 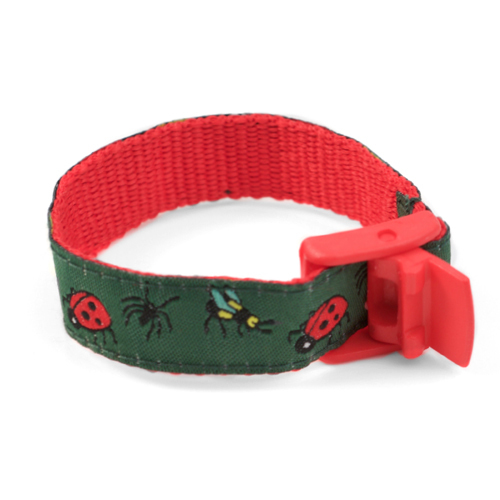 The strap is nylon and polyester, closing with a snap-lock clasp.